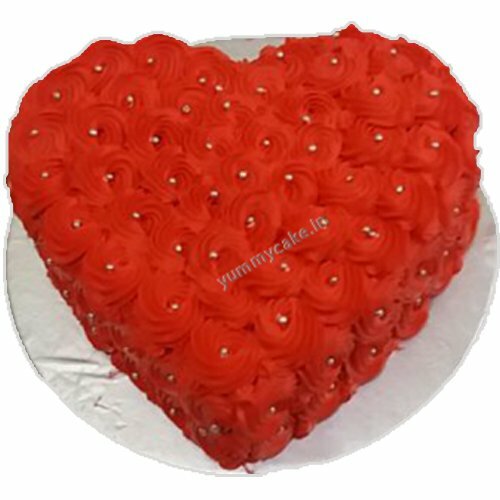 Send this heart-shaped cake made with Pineapple flavor and decored with Red Roes flowers. 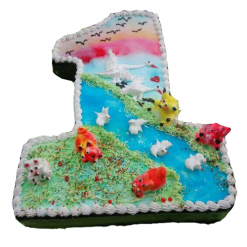 We have centers at various locations in Faridabad, Delhi, and Noida to ensure the fast delivery of the YummyCake to you, so as to maintain the freshness and aroma of the cake. 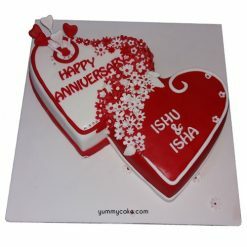 Place your order for anniversary cake online delivery in Noida, Delhi, and Faridabad and experience the taste of best anniversary cakes available online. Terms and Conditions remaining are the same for all orders. 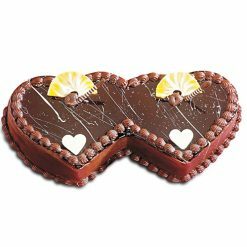 Call us on 9718108300 for quick orders of heart-shaped chocolate cake. This Cake was amazing in design, taste and color. 100% satisfied customer. Thanks YummyCake! !